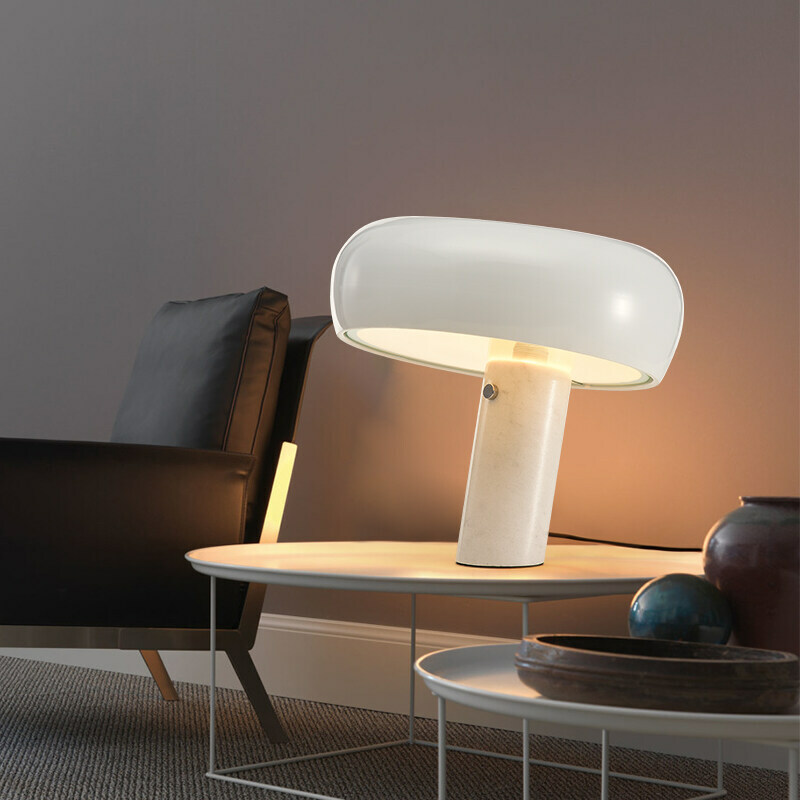 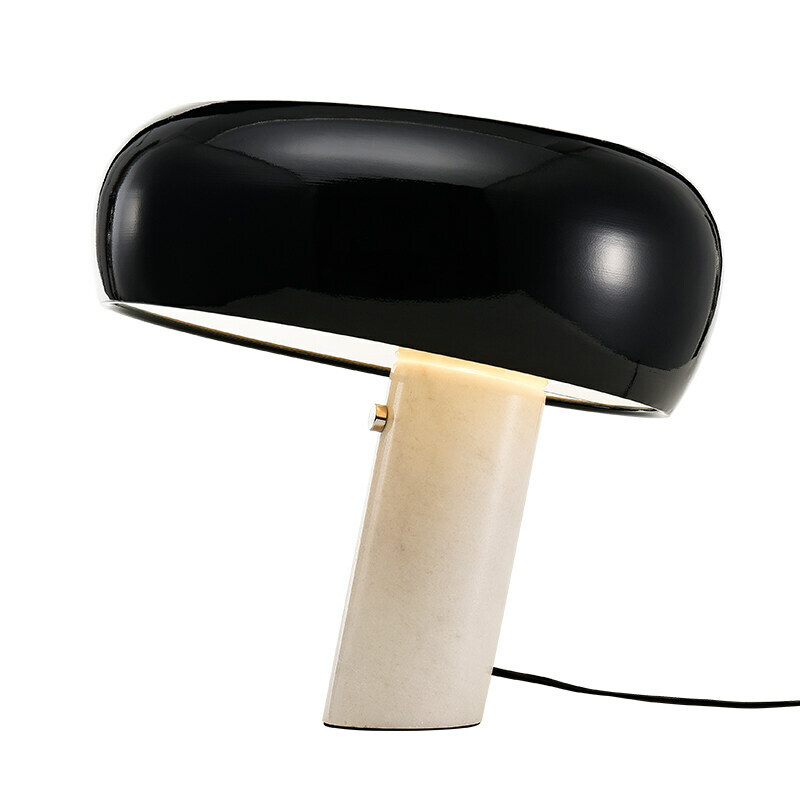 Inspired by Archille Castiglioni’s original 1967 design, this unique table lamp will add a touch of retro style cool to any space. 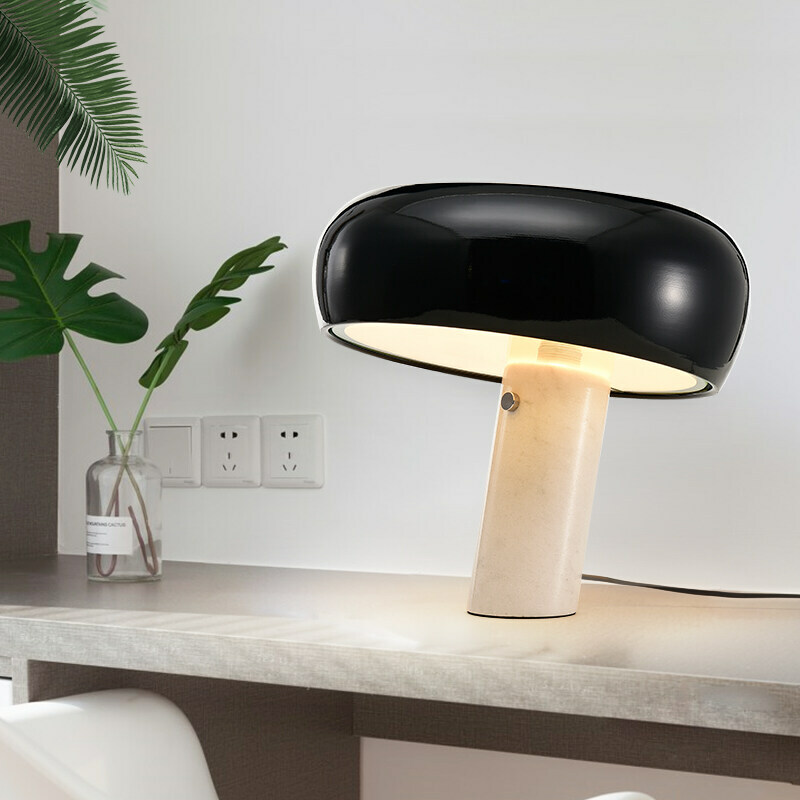 This beautifully designed piece was originally inspired by the popular Peanuts character Snoopy - the famous beagle with a white body and large black ears. 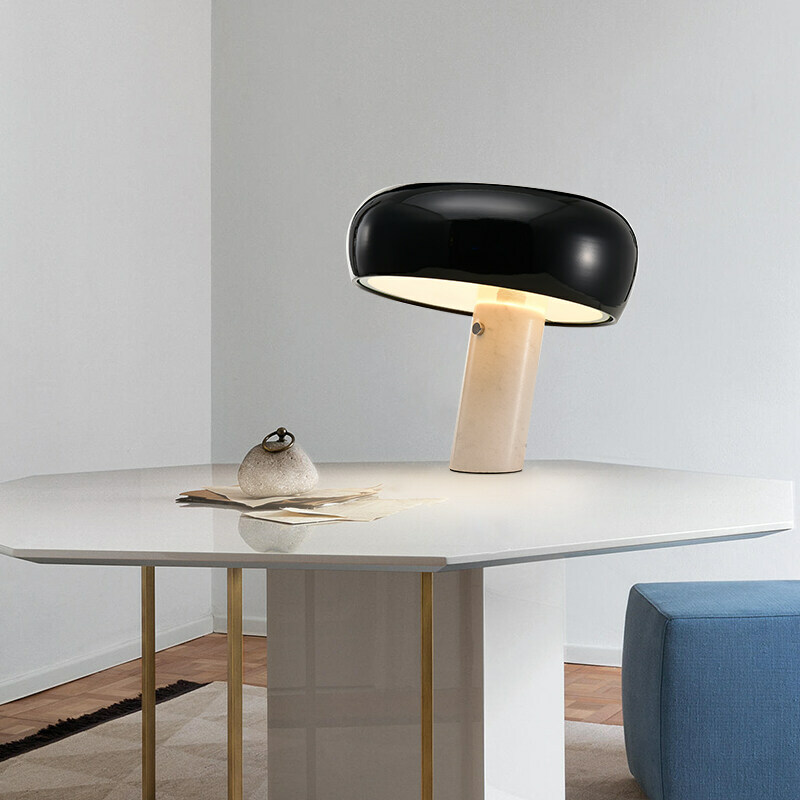 The lamp itself is made with a large, glossy black metal shade and a white Carrera-style marble base which are separated by a circular glass diffuser. 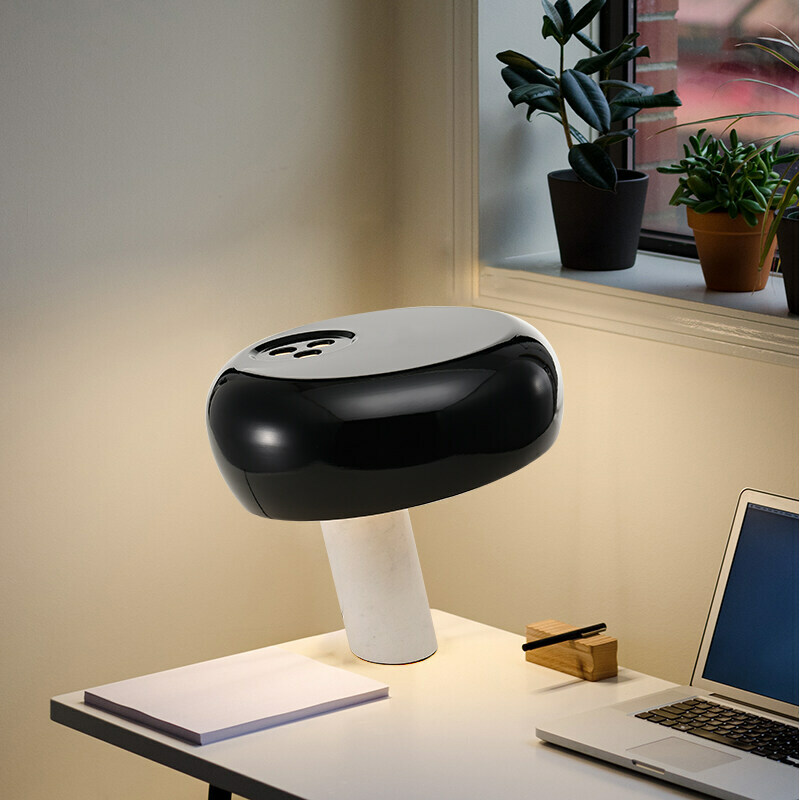 Useful for numerous lighting situations this lamp uses a standard 60 watt bulb to provide three brightness settings which are activated by touch.